This blog is a critical appraisal of the following randomized controlled trial: An early rehabilitation intervention to enhance recovery during hospital admission for an exacerbation of chronic respiratory disease: randomised controlled trial. Acute exacerbations of chronic respiratory diseases are the second most common cause of unplanned hospital admissions per year, placing a significant financial burden on healthcare systems. Hospitalisation increases the patient’s risk of mortality, morbidity and re-admission (Hunter et al. 2016). It is therefore important to establish how admissions for acute respiratory disease can be optimally managed. This blog will discuss and critically appraise a single-blinded, randomized controlled trial (RCT) that aimed to determine whether early rehabilitation provided within the first 48 hours of admission could improve clinical outcomes (Greening et al. 2014). This study was conducted over two hospital sites (urban and rural) in the United Kingdom. Having screened for eligibility (Table 1), participants (n=389, 45-93 years old) hospitalised for an acute exacerbation of respiratory disease were randomised into two groups using an automated internet-based service. The control group (n=196) were treated with ‘usual care’ whereas the intervention group (n=193) received an additional 6-week early rehabilitation package, initiated within 48 hours of admission and supervised by a member of the rehabilitation team. Early rehabilitation consisted of progressive aerobic, resistance and neuromuscular electrical stimulation training. On discharge, participants in the intervention group were required to continue the 6-week program unsupervised and were provided with educational and self-management advice in conjunction with three telephone consultations. Both groups were offered formal pulmonary rehabilitation (PR) at 3 months post-discharge. The primary outcome measure was hospital readmission rate at 12 months, obtained using hospital databases and general practice records, and analysed on an intention to treat (ITT) basis. Secondary outcomes included mortality and physical performance. Functional outcome measures were taken at baseline, on discharge and at 6 weeks, 3 months and 12 months from randomisation. Only investigators assessing outcomes were blinded to treatment allocations. Overall, 60% of participants (control: 58%, intervention: 62%) were readmitted at least once within 12 months, but no statistical difference was found between groups (HR 1.1, 95% CI 0.86 to 1.43, P=0.4). The only statistically significant outcome was increased mortality in the intervention group (49/193) compared to the control (31/196) (OR 1.74, 95% CI 1.05 to 2.88, P=0.03). The CASP tool for RCT’s was used to assess the internal and external validity of the study and the pertinence of results to clinical practice. A major strength of this study was its large sample size. This ensured the trial was adequately powered to detect a 15% difference in readmission rates, requiring ≥190 participants in each group. Additionally, concealed randomisation helped to ensure internal validity and eliminate selection bias. The study had robust handling of missing data and used ITT analysis, preventing attrition bias. ITT analysis ensures participants are analysed in their randomised group, maintaining equality of baseline characteristics, regardless of adherence to the intervention. This reflects clinical practice where non-compliance can occur, making ITT analysis more representative of the real-life effectiveness of interventions. The main limitation of the study were issues relating to confounding. For example, although a number of variables were adjusted for in the model, the stable-state forced expiratory volume in one second (FEV1) at baseline (an indicator of disease severity) and cognitive impairment were not. The mean FEV1 (% predicted) differed between groups whereby the intervention group had more severe disease at baseline. The lack of significant differences in outcomes and increase in mortality may therefore be an artefact of confounding due to this baseline characteristic. Additionally, cognitive dysfunction was not screened for although it has been associated with increased mortality and disability. Estimated to affect over 50% of patients hospitalised with an exacerbation of chronic obstructive pulmonary disease (COPD), cognitive impairment may lead to a lack of understanding and compliance with the intervention, contributing to the study’s findings (Dodd et al. 2010). Indeed, only 54% of participants adhered to the intervention for the 6-week period. A further limitation was short admission times allowing for an average of only 2.7 supervised sessions. For the majority of the 6-week intervention, participants self-reported their compliance which may have biased the results. This study is likely generalisable to other UK hospitals with similar admission lengths given that the National Health Service aims to standardise care across the country. Results are also likely to be generalisable to different settings given that the RCT was conducted in both urban and rural hospitals. However, as the majority of participants suffered from COPD (82%), it is unclear how representative the findings are to patients with chronic asthma, interstitial lung disease and bronchiectasis. The short admission time and poor compliance with the post-discharge protocol likely resulted in an intervention which was not sufficiently intense enough to elicit physiological changes and affect readmission rates or mortality. Subtle differences in baseline characteristics and changes in health behaviour, noted by a lower PR uptake in the intervention group at 3 months (14% vs 22%), are more likely responsible for differences in mortality. This study indicates that an early rehabilitation program, initiated during acute admission for patients with chronic respiratory disease, does not improve clinical outcomes. However, given the limitations outlined above, additional research is required to further investigate optimal timing, dosing and setting of rehabilitation for these patients in order to reduce risks associated with hospitalisation. Conventional, supervised, post-exacerbation PR offered after discharge remains the most effective, evidence-based intervention for this population (Puhan et al. 2016). Critical Appraisal Skills Programme (2018). CASP (Randomised Controlled Trial) Checklist. [online]. [Viewed: 25 November 2018]. DODD, J., GETOV, S. and JONES, P., 2010. Cognitive function in COPD. European Respiratory Journal [online]. July, vol. 35, no. 4, pp. 913-922 [viewed 11 December]. GREENING, N., WILLIAMS, J., HUSSAIN, S., HARVEY-DUNSTAN, T., BANKART, M., CHAPLIN, E., VINCENT, E., CHIMERA, R., MORGAN, M., SINGH, S. and STEINER, M., 2014. An early rehabilitation intervention to enhance recovery during hospital admission for an exacerbation of chronic respiratory disease: randomised controlled trial. British Medical Journal, [online]. July, vol.349, pp. 4315-4327 [Viewed 01 December 2018]. HUNTER, L., LEE, R., BUTCHER, I., WEIR, C., FISCHBACHER, C., MCALLISTER, D., WILD, S., HEWITT, N. AND HARDIE, R., 2016. Patient characteristics associated with risk of first hospital admission and readmission for acute exacerbation of chronic obstructive pulmonary disease (COPD) following primary care COPD diagnosis: a cohort study using linked electronic patient records. British Medical Journal Open, [online]. Vol 6, Issue 1 [Viewed 10 December 2018]. PUHAN, M., GIMENO-SANTOS, E., CATES, C. and TROOSTERS, T., 2016. 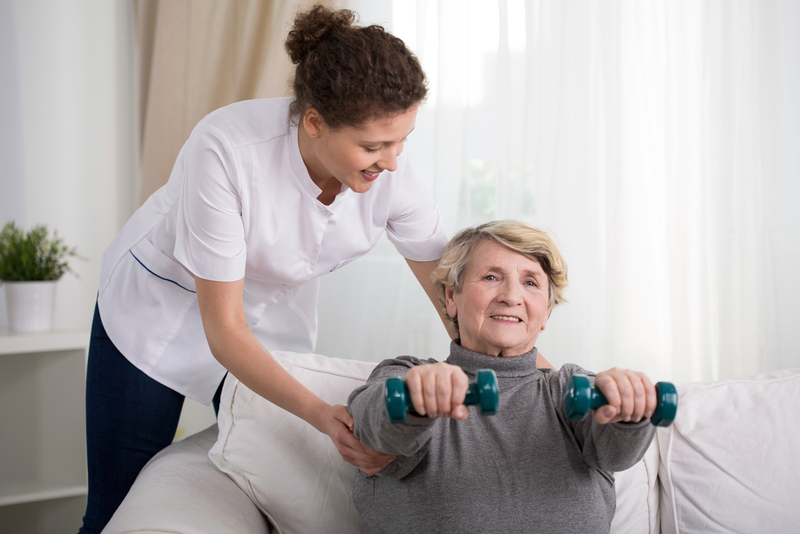 Pulmonary rehabilitation following exacerbations of chronic obstructive pulmonary disease. Cochrane Database of Systematic Reviews [online]. December, no. 12. [viewed 11 December]. Art. No: CD005305. DOI: 10.1002/14651858.CD005305.pub4.